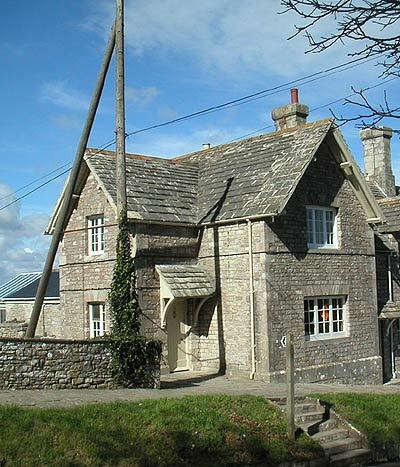 Kingston Cottage is a 19th Century Purbeck semi detached stone cottage with summer house in the village of Kingston with breath-taking views of Corfe Castle and the sea. Perfect location for a bucket and spade holiday or a large family get together. Perfect for walkers too as 1 mile from the South West Coast Path. The cottage has a large kitchen – ideal for entertaining – with stunning views of the castle and the church. The main cottage boasts 3 beautifully decorated bedrooms upstairs and two bathrooms. Downstairs there is a large but cosy sitting room (log fire) and a further sitting room plenty of comfy seating. Each has a TV. "The Cottage had everything we wanted the games, DVDs and the garden kept the children entertained for hours"